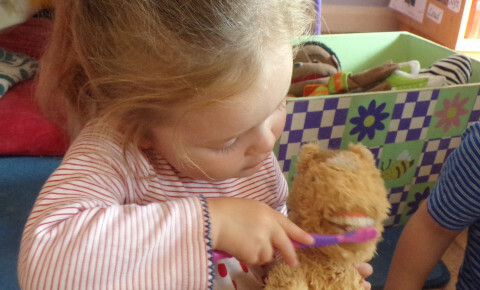 Today the dental hygienist came to talk to us about the improtance of brushing our teeth regularly. 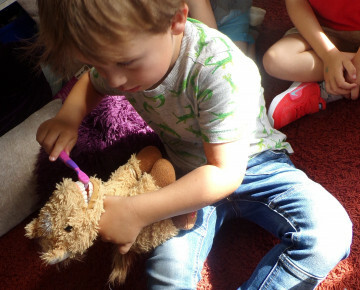 We all had a go at brushing the horses teeth. 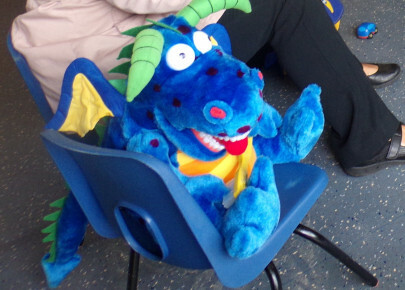 She also showed us her new puppet, a dragon, who brushed his teeth and even spat out the toothpaste after brushing!